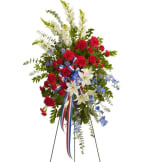 A beautifully patriotic way to pay tribute to a loved one. This half-couch spray sends an eloquent message of strength, respect and freedom. 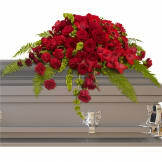 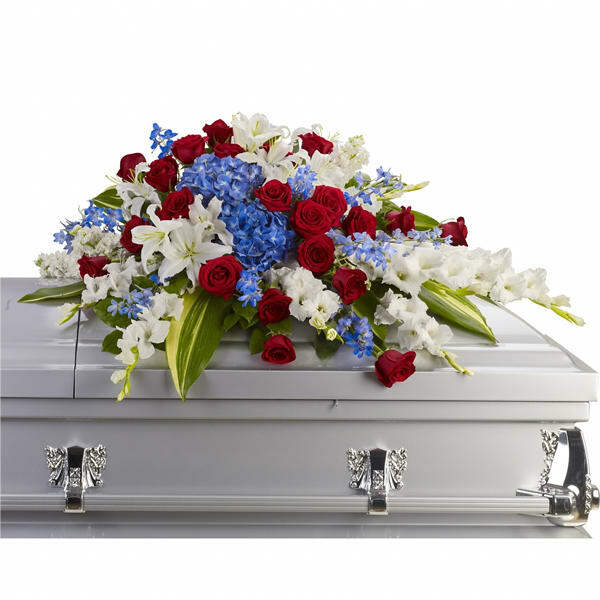 • Brilliant flowers such as blue hydrangea, red roses, white oriental lilies and much more create this dignified way to honor the deceased. 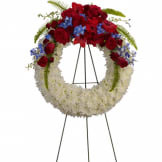 • This arrangement measures approximately 46 1/2" W X 24" H.